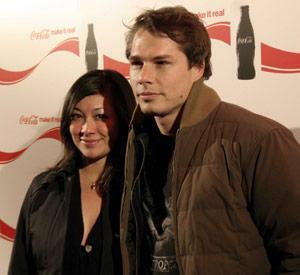 Frank Shepard Fairey (born February 15, 1970) is a contemporary artist, graphic designer, and illustrator who emerged from the skateboarding scene. He first became known for his "André the Giant Has a Posse" sticker campaign, in which he appropriated images from the comedic super market tabloid Weekly World News. His work became more widely known in the 2008 U.S. presidential election, specifically his Barack Obama "HOPE" poster. The Institute of Contemporary Art, Boston calls him one of today's best known and most influential street artists. His work is included in the collections at The Smithsonian, the Los Angeles County Museum of Art, the Museum of Modern Art in New York, and the Victoria and Albert Museum in London.